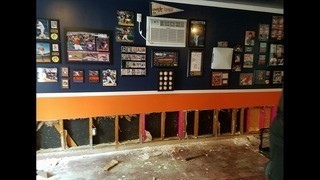 A Houston family is putting its love for the world champion Astros on display in an epic man cave. 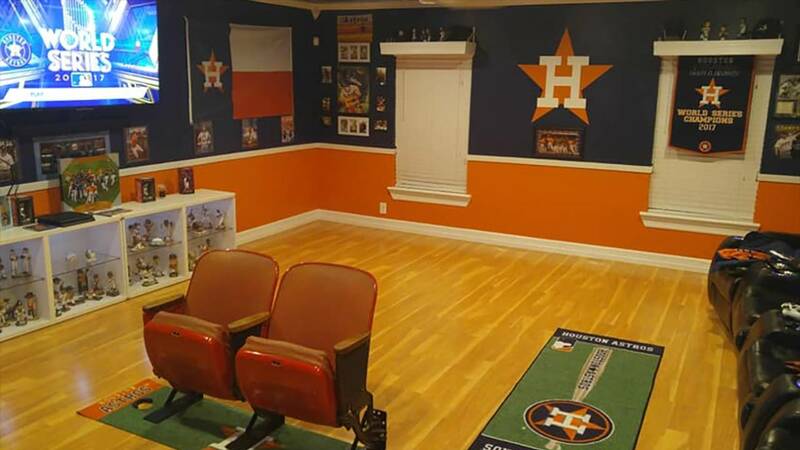 The pictures of the room will make any die-hard 'Stros fan drool. The decor is all Astros. The room has orange and blue walls, signs, banners, flags, posters and bobbleheads. It even has seats from the Astrodome! Of course, every man cave needs a TV, and this one has several. Mr. Cruz said it's really more of a man-boy cave, since his 8-year-old son played a major role in creating it. Cruz even gave it an official name in honor of his son, calling it the Johnjon Cruz Mancave. The man cave has quite a history. When Cruz bought the home in 2013, he converted the two-car garage into this masterpiece. It is filled with personal memorabilia collected by him and his son. It makes total sense that the man cave is named after Johnjon, since he probably spends the most time in it. 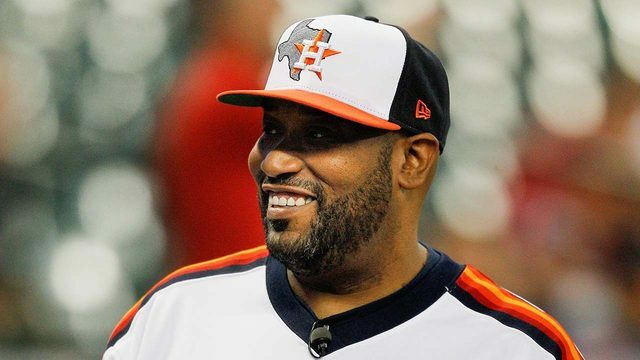 Cruz said the the 8-year-old loves to watch Astros games in the room. His favorite thing to watch is Game 5 of the World Series over and over and over again. We can't blame you, Johnjon! 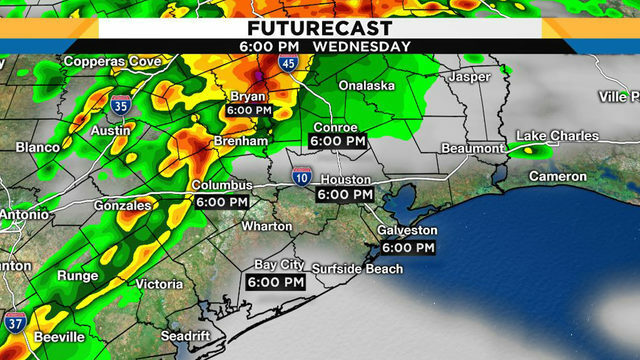 The man cave was severely damaged by Hurricane Harvey, but Cruz and his family worked quickly to get it restored to its glorious condition. Cruz said they finished all the renovations right before Game 4 of the World Series.